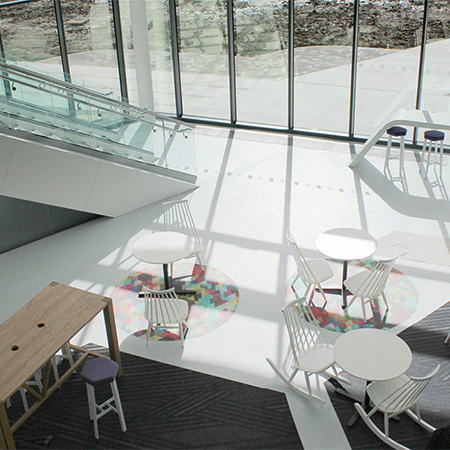 Flooring solutions from Flowcrete were specified for Wales’ first dedicated science park, Menai Science Park or ‘M-SParc’. 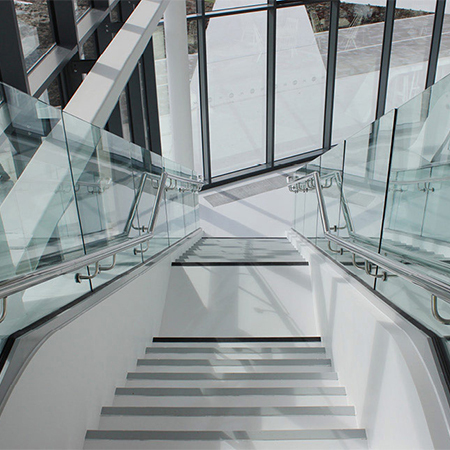 M-SParc required an iconic, modern, robust floor finish to match the pure white of the external cladding. 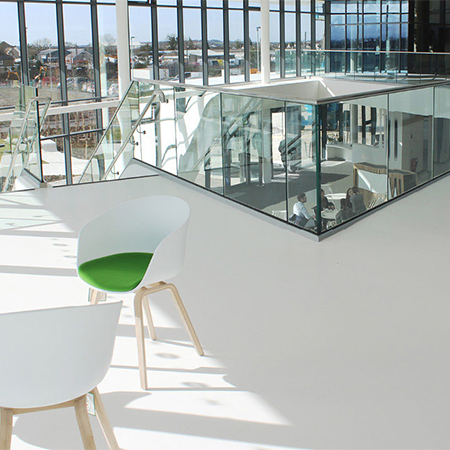 Peran Comfort was chosen in ‘Light Grey’ and ‘Signal White’ for the stairs, landing and foyer areas of the Open Innovation Space. 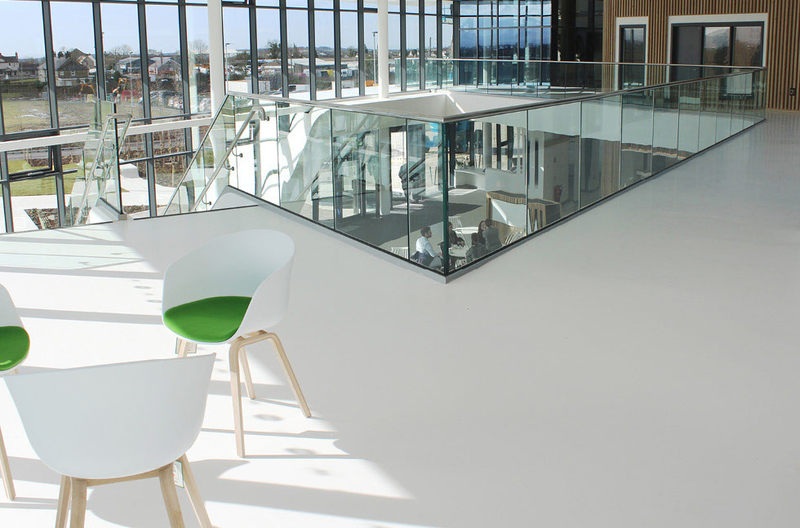 The noise reduction and durability properties of this flooring system are ideally suited to this area, where heavy footfall and accompanying noise is expected. Using this system to create pathways inside the building also reflects the light, creating the spacious feeling desired by the client. 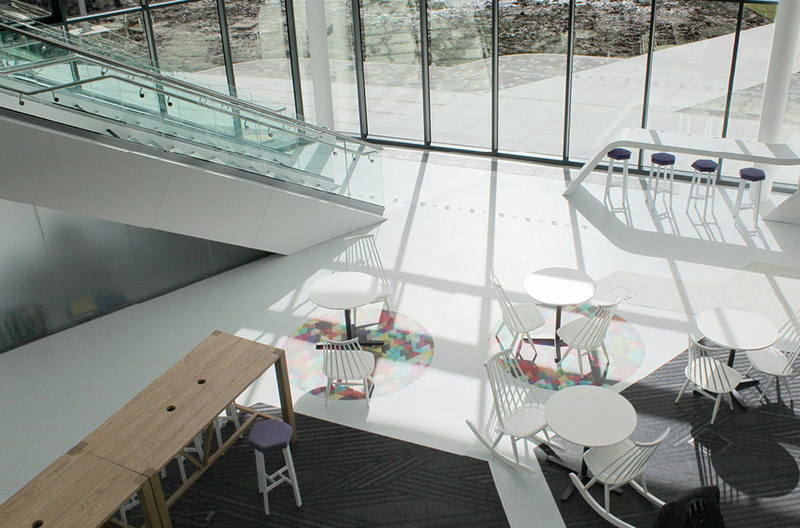 Flowcrete UK’s Rustik Natural Stone was also utilised to provide a natural texture to the entranceway as well as a touch of glamour, thanks to its crisp colour and modern style. This system provides a striking visual alongside the benefits of noise reduction, slip resistance and durability, as well as providing visual continuity with the paving in the external landscape. The substrate was prepared by hand installing a levelling screed. 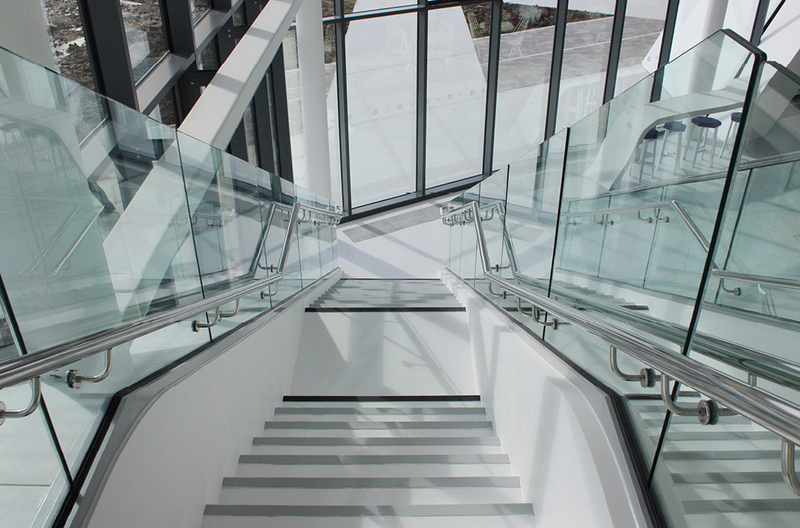 The designs incorporated into the surface were then set out using stainless steel rims, before the Peran Comfort and Rustik Natural Stone systems were applied using trowels, rollers and squeegees. The installation process was completed with a final sealer coat.